Making an offer on a house to buy after negotiating house price and having it accepted. Its important to progress things quickly to get it taken off the market and avoid new interest which is when gazumping might taking place. This article also discusses pre-contract deposits and the art of negotiating house price. When you make an offer on a house or property make sure that it is 'subject to contract', this means you can pull out of the deal if there are any problems. 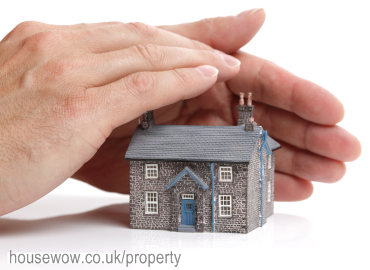 Under the Estate Agents Act, an estate agent is legally bound to present any offer to the vendor. But unlike in Scotland, a buyer's offer is not legally binding in England and Wales, even if accepted by the seller. Once your offer is accepted, ask for the property to be taken straight off the market for the duration of the sale. 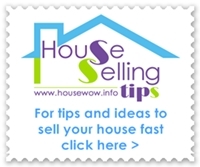 The seller is unlikely to do this if you haven't already sold your property. Gazumping occurs when a property is sold at a higher price after an offer has been accepted. It is not in an estate agent's best interest to allow gazumping to occur as they rely on their reputation; however a determined buyer may go straight to the seller with their offer. Gazumping is not ethical but it is legal. An offer to buy is not a legal contract and the vendor can ignore the first offer and accept a later higher offer. If you're asked to pay a pre-contract deposit, check with your solicitor if this is necessary. If so, is the money returnable if you don't complete the purchase? Get a receipt. There are no standard methods of negotiation in property purchase because so much psychology and mind games are involved. It's not just price that's up for negotiation - what about exclusivity, timescales, fixtures and fittings? Work them all into the deal if you can. Consider the timing of your negotiations with a view to the mindset of agent and vendor. Even low offers are considered more favourably when confirmed in writing, supported with information on funding and legal arrangements and backed up with comparable evidence. An Estate Agent has a legal obligation to put your offer to buy to the vendor if the house is still on the market but not if they have already accepted an offer to buy the house. The Agent then has an obligation to tell you that the house is "sold subject to contract" and that they will note your interest should the sale not proceed and will then get back to you. When making an offer to buy it is important to state that your offer will not just sit on the table while the house is on the market in case they get a higher offer in the meantime. Make sure that they know it is time limited and that you have other properties on your shortlist so that you add some urgency to the negotiation. Limit the offer to buy with a time to accept or reject the offer so that you can move on your house buying as necessary. If they accept the offer then it must be with the provision that they take the house off the market immediately and remove the online marketing details and for sale board.